Rental Costume includes: head, bodysuit, 2 pairs of pants, 4 foot covers and a drape for the body. Available in 2 man version only. 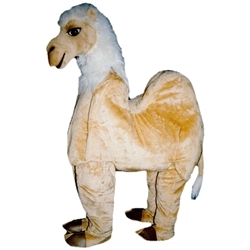 One size fits standard adults up to 50-inch chest or hip, up to 6-feet tall.